Okay people, I’m about to go on a rant. As a feminist I would like to introduce you to the concept that two seemingly opposing ideas can both be true or right or correct. Take a breath. 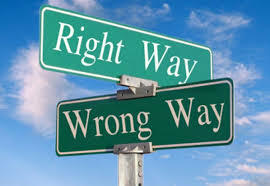 I know it’s difficult to give into the idea that you are not absolutely right. I want to add to that that one can be passionate about what they believe to be ‘right’ and still hold room for other views. For example: straws. I am part of the ‘let’s do away with them’ club. They multiply. They infest our landfills and more importantly, our oceans. They threaten and kill wildlife. Straws are a bane to our society and we should make way for alternatives. So yay, Starbucks!!! I refuse straws when eating out and if they bring me one already in my drink (because I didn’t anticipate it- learning curve!) I bring it home and cut it into small pieces. I have my own straw. It is a pyrex straw that I clean every day. It is one of the small acts I do to make a small difference, to begin the change. 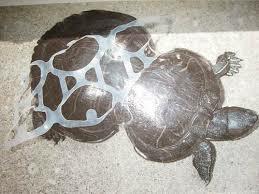 And though I no longer buy canned drinks with plastic rings, but when I did, I made sure to cut them up so they would not choke dolphins or constrain turtles. Everyone should stop using straws! Now! the future of the earth depends on it! … Well, except… there are people with disabilities who clearly NEED straws to survive. That is if we consider the ability to eat and drink survival. Which I do. So is there room in my passion and my ‘rightness’ for understanding that my ‘universal’ has exceptions? I really hope so. 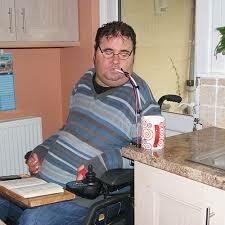 Because I have friends with disabilities for whom I would also make a stand for their continued ability to use straws. Is this really so hard? Can two things that seem to be contraindicated both be true? If you can’t answer ‘yes’ to that question, you may need to look more closely at your belief system. My hunch is that if you don’t it will tie you up into bitter knots. And here’s my final shot at ‘absolutes’. They keep us from being reasonable, compassionate people. Whether we are talking about legal absolutes, moral absolutes, political absolutes, or theological absolutes. What I get when I hear someone propounding an absolute is that I am in danger. I am one who frequently points out that paradox is a thing…we can hold 2 opposing thoughts in mind etc. And you do that here. But I don’t think this is exactly the same situation. It is true we need to do away w/the excessive straws. 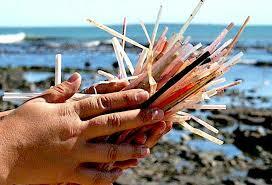 But there are other types of straws that can be used for people who need them. They don’t have to be made of the plastic that gets thoughtlessly disposed of only to harm the environment. Let’s keep doing both. Caring for each other and our environment. One less is one more on the road to improvement. Straws as a “medical appliance” would be less of a burden on our environment than straws as a habit. Abortion discussions clearly highlight your point. I abhor abortions but as a man won’t likely have to make that choice. I also abhor the idea of telling a woman how to handle that choice. My distaste for abortion does not make my opposition absolute. I support choice.